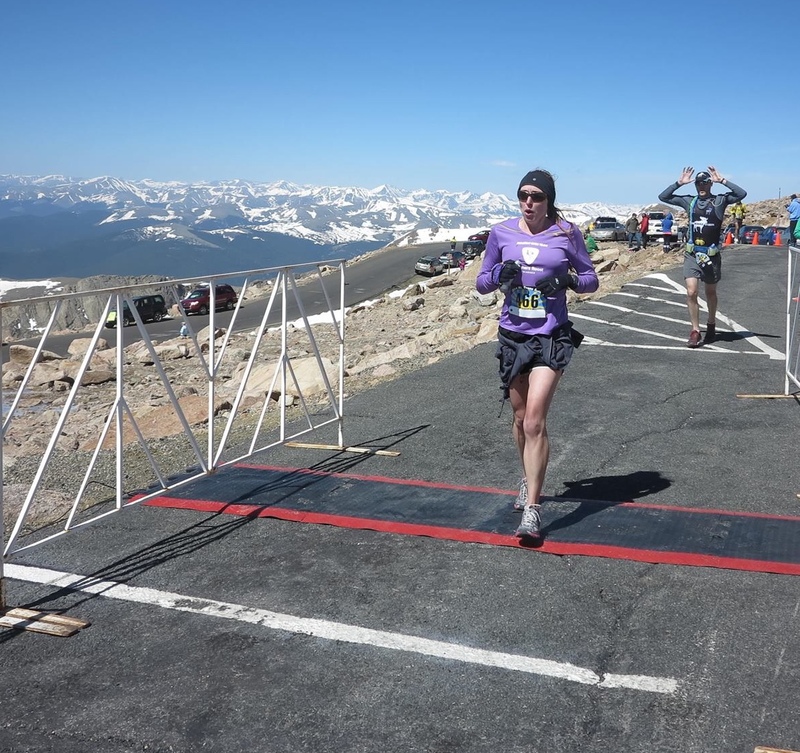 Finishing the Mt Evans Ascent, fueled by beets! If you train and compete at altitude like I do, you probably have a greater appreciation for oxygen than most! So any advantage with oxygen sounds like a sweet deal right? But what if you don’t like the earthy taste of beets or can’t stomach the 2-3 cups of beet juice that some of the studies used? Enter BeetElite. BeetElite is a beet supplement. It’s actually concentrated organic beetroot crystals that you mix with a small amount of water. A single serving packet (10 grams) is mixed with 4 oz of water and consumed just 30 minutes before exercise. Each packet is supposed to be equivalent to 6 whole beets worth of nitrates. Beet juice, on the other hand, needs to be consumed 2-3 hours before exercise to be in full effect, which means it takes a lot more advanced planning. You also need to drink at least 500mL (about 2 cups) to get the full effect of beet juice. So what’s the deal with BeetElite? Read on! Price: $34.99 for 10 single serving packets ($3.50 per serving), or $44.99 for a 20-serving canister ($2.25/serving). If you buy a 16.9 oz (500mL) bottle of beet juice at Whole Foods it will set you back $5.99. Given that most studies used about 500mL (which is about equivalent to 3 beets, this actually makes the BeetElite a better deal. Nutrition Breakdown: A single serving pouch has 30 c alories, 0 grams fat, 8 grams of carbohydrate, 7 grams sugar, and 0 grams of protein. Ingredients: organic beetroot crystals, natural flavors, malic acid, stevia leaf extract. The beetroot crystals are formed from organic beets. Malic acid is a common food additive, found naturally in fruits such as apples and rhubarb and used to impart a tart flavor. There are some studies that associate malic acid itself with improved sports performance. It is considered safe. Natural flavors could mean anything. I emailed the company for more specifics about that but have not heard back yet. Stevia leaf extract comes from the Stevia plant. While stevia leaf is natural, the extract is a little bit more processed. It is generally considered safe by the FDA and is probably fine in small amounts. BeetElite comes in a regular and black cherry flavor. So far I’ve only tried the black cherry flavor, and I actually found it to be quite good. It barely tasted like beets and was slightly sweet. Plus, being only 4 oz made it easy to drink. I just ordered some of the regular flavor and am hoping it’s not too beety! I didn’t have any GI issues using BeetElite, which is always something I’m concerned about when trying a new product. It was convenient to use too. For the Mt Evans Ascent I actually mixed the BeetElite into a Generation UCAN shake and was pleasantly surprised at how the flavors and textures mixed. Maybe I’m on to something here?! Overall I would say I had a good experience with BeetElite. Bottom Line: Athletes are always looking for a competitive edge, and there are lots of good studies on beet juice and athletic performance, so I think incorporating beets, beet juice, or a beet supplement is a good idea. Using the BeetElite is certainly easier and more convenient than chugging beet juice before a race and is also a great option for those who cannot tolerate the flavor of beets and beet juice. I really like that it only needs to be consumed 30 minutes before exercise and that only 4 oz is needed. It’s also great that it comes in portable little packets-can you imagine going through airport security with a bottle of beet juice?! Even though I can’t say for sure if I personally noticed an effect with BeetElite, there is enough good data out there that I believe it very well could’ve helped me and I will continue to use it here and there (but not everywhere). It’s important to remember though, that a supplement will never make up for poor training and nutrition, so don’t expect any miracles with BeetElite or beet juice if you aren’t training and eating well. As always, take supplements with caution and use them appropriately. I would not recommend using BeetElite all the time (only for tough training sessions and races). Also make sure not to over use it. BeetElite recommends no more than 2 packets in 24 hours. *Disclaimer: I was provided one-time free samples of this product for being a sports nutrition coach with Peaks Coaching Group. I have since purchased my own.